Every day we’re being confronted with increasing sales costs and margins under greater and greater pressure. In this blog, we explain why this is happening and look at the solution in detail. Increasing sales costs and greater pressure on margins are usually the result of inadequate or non-existent internal sales training and supervision. 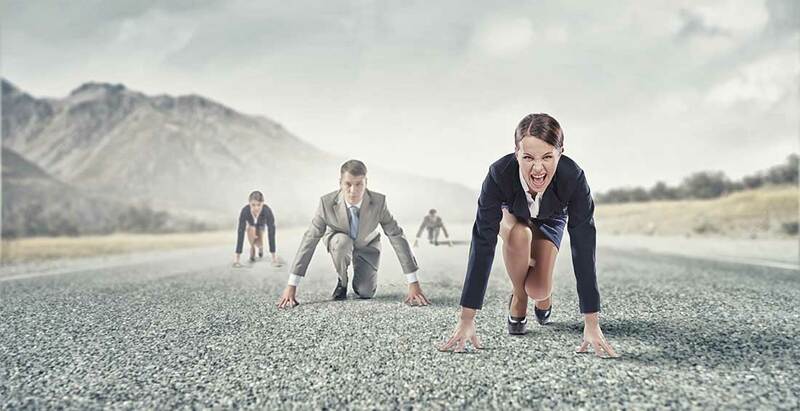 There are also a few die-hard habits that many companies and sales reps cling on to which can cause even bigger problems for sales performance. Directors will already be familiar with the changed buying behaviour and understand the impact it has on their sales and marketing organisation. The fact that up to 75% of decision-making criteria are influenced online means it’s important for us to allow sales to start a dialogue with customers at different times and with different messages. Management behaviour and how to direct sales teams is crucial here, although that’s a separate topic just in itself. But how can we arm sales to face these new challenges? 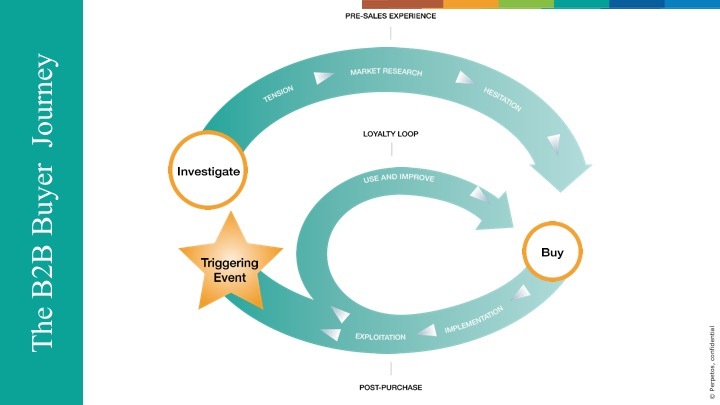 The buying process in figure 1 shows the complete customer journey. Whether it’s for existing or new customers determines how sales deals with it. For existing customers, sales mainly need to convey ‘why customers need to stay’ – combined with behaviour that we label as ‘account development’ rather than ‘account management’. With existing relationships, detailed knowledge of the customer and their environment provides a great opportunity for increasing the value perception, and so embedding the relationship more deeply. For non-customers, the first question is: ‘Has the customer already decided to change?’ Has the customer not decided to change yet? Then it’s best to base your messages and interactions on breaking the status quo, and so increasing the willingness to change. Customers aren’t usually aware of what improvements are possible. Or the customer thinks the risks that come with the change look too big. Or they’re not familiar enough with exactly what’s required. These ‘why change’ messages assume the customer’s point of view and are the best way of developing prospects. And this is where the biggest challenge is identified in terms of sales performance. Various studies and analyses of our customers show that up to 60% of opportunities simply disappear from the forecast without any decision being made by the customer. The biggest competitor isn’t another supplier, but the customers themselves simply not deciding to buy anything. So messages about how good your company and its solutions are, or the extra benefits that you can offer, won’t help stimulate the buying process. Has the customer already decided to buy? Then the next question is of course: who should I buy what from, and how much for? Sales responds to this with messages that underline why the customer should choose them. These ‘why us’ messages are most effective at this point in time. Most companies and a large proportion of sales reps score quite to very highly in this area.